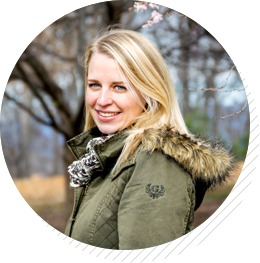 I’m always looking for easy, Whole30 compliant weeknight meal ideas. 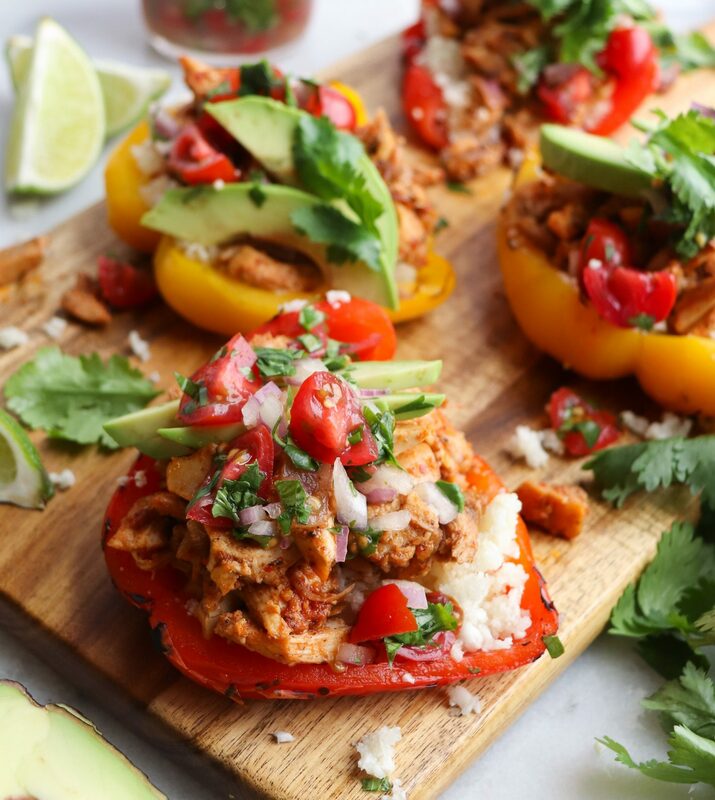 When I made these Whole30 CHICKEN FAJITA STUFFED PEPPERS, in a moment of pure humility, I thought to myself, “Oh, Laura, you’re a genius at making easy weeknight dinners that still feel fancy. You should really write a cookbook.” A quick google search revealed I’m far from the first to come up with this idea, but I’m just going to pretend it didn’t. I mean, we have to take the wins when we can get them, right? 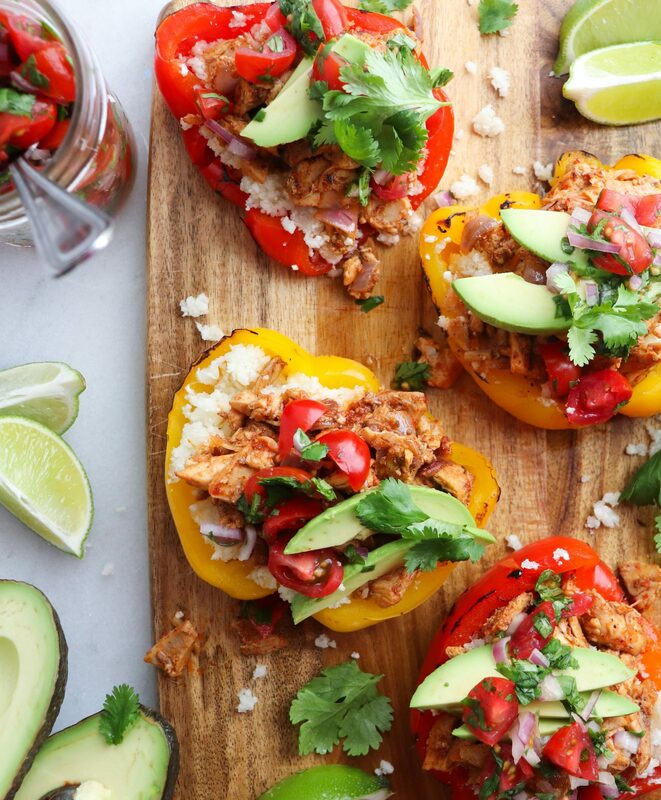 And these Weeknight Chicken Fajita Stuffed Peppers are definitely a win! If you like them, be sure to check out my Orange Sesame Chicken & Broccoli too — it’s my #1 most made recipe and people just love it! In any case, take a few easy shortcuts and you’ve got yourself the most deceivingly simple meal. First, buy a rotisserie chicken. Whole Foods and Fresh Market both offer Whole30 compliant rotisserie chicken, and I’d be willing to bet a lot of other grocers do too. Second, use frozen cauliflower rice. It will save you the hassle and mess of doing it yourself, and it usually turns out better anyway. I included directions on how to do everything at home, but if you use a store bought rotisserie chicken and frozen cauliflower rice, you can make this dinner in less than 20 minutes, total. I don’t know about you, but that’s about all the time I’m willing to devote to dinner most weeknights. And if you’re looking for other easy weeknight meals, check out this post I put together with SEVEN 15 minute (or less) Whole30 dinners. I build one or two into my weekly meal plan to give myself a much needed break. 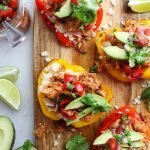 A simple weeknight dinner, these Chicken Fajita Stuffed Peppers are grain free, gluten free, dairy free and absolutely delicious! 2 T. compliant taco seasoning . Cut the peppers in half, cut off the stems, and scoop out the seeds. Rub the insides and outsides with a little oil, then place on a lined baking sheet. Broil 3-4 minutes per side, until softened slightly. If any char forms on the skin, allow the peppers to cool and then rub it off with your thumbs. Cut chicken into bite sized pieces & season with salt and pepper. Heat oil in a large skillet over medium heat, then add the chicken in. Once the chicken begins to brown, add the onion to the pan and sauté together for another 5 minutes. Stir in the taco seasoning and tomatoes and bring to a simmer. 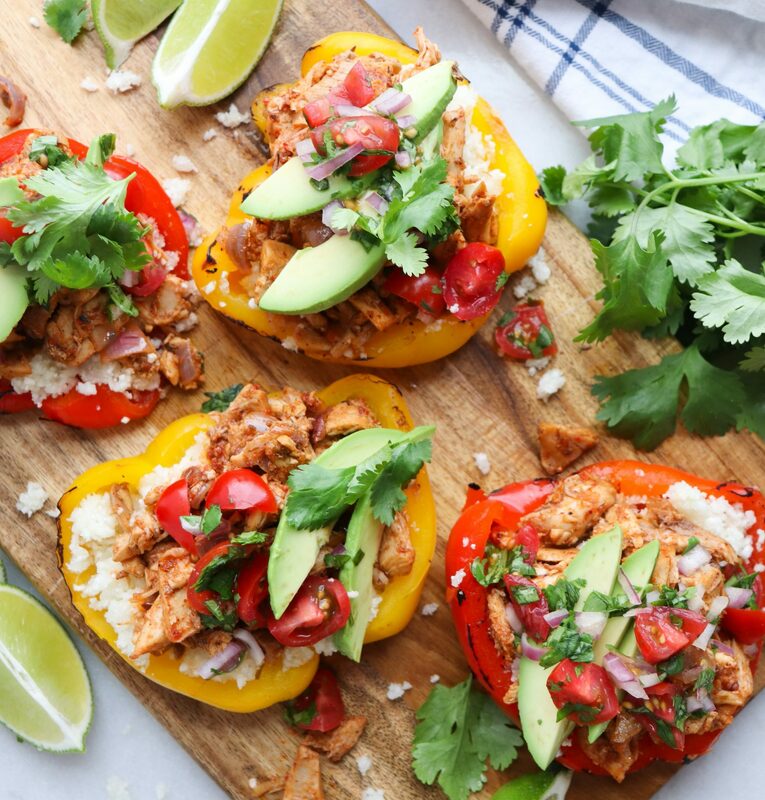 Spoon the chicken into the peppers with prepared cauliflower rice, your favorite salsa, and sliced avocado, and enjoy! Have you made this recipe? I’d love to know what you think of it! Let me know in the comments below!